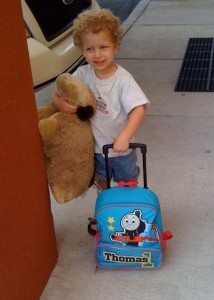 Posted on: June 20th, 2013	by Jennifer A. 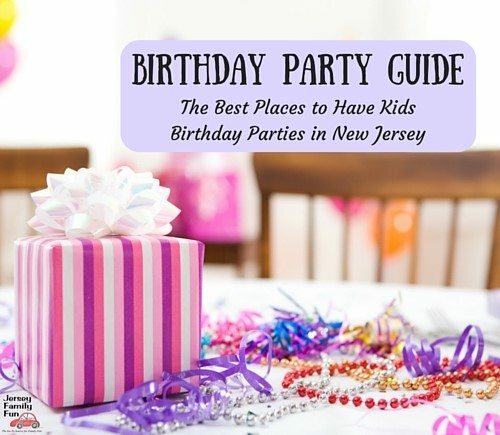 What extra fabulous about this list of things to do with kids in Atlantic City is that most of these activities can be done inside. 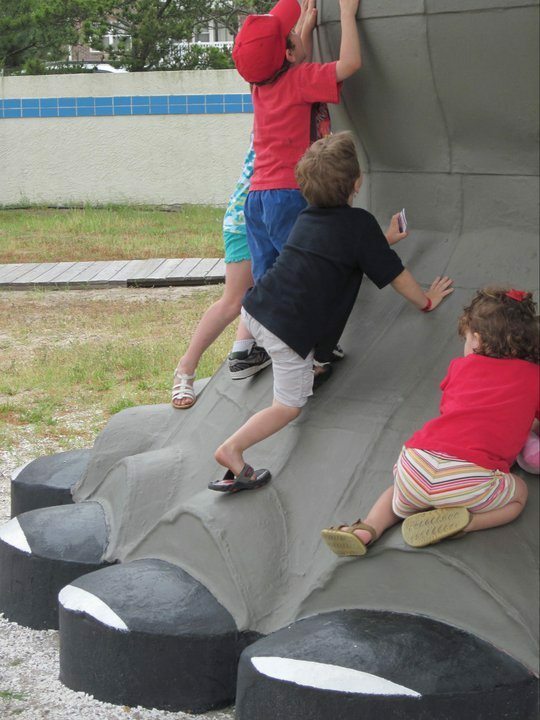 Rain or shine it’s always possible to have great family fun in Atlantic City. Search for dolphins aboard a dolphin cruise. Third in our things to do in Atlantic City with kids is our suggestion to get out onto the water with a dolphin cruise. Atlantic City Cruises in Gardener’s Basin offers daily dolphin cruises during the summer and three times a week in the spring and fall. 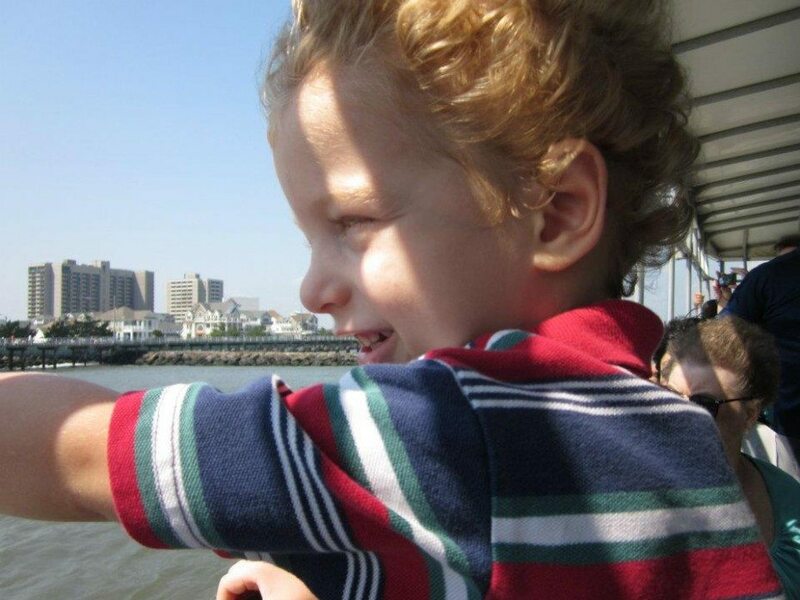 We first did this South Jersey dolphin cruise when my youngest was 4 years old. We just returned and now he’s 10. Where does the time go? But all my boys from the big kid to the teen enjoyed our dolphin cruise. 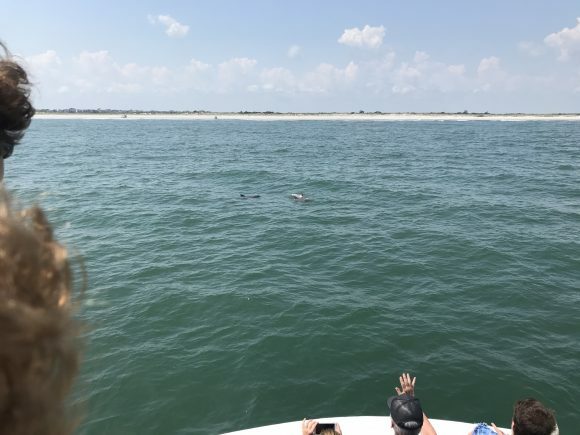 Not only did we see several dolphins aboard our two hour cruise, but it was also a wonderful way to see some of Atlantic City’s best attractions from a different point of view. When you go on your dolphin cruise you could see leaping, frolicking dolphins or they could be a little harder to see if they are in hunting mode. For us, Captain and Owner Jeff gave a highly educational commentary that taught us about the different dolphin behaviors and how some of those behaviors can make dolphin harder to see at times. They’ll stay underwater longer and their trips to the surface will be brief. Don’t let that discourage you though. Captain Jeff was determined and he and his teams know the ocean waters well. If they can’t find dolphins in one area they will take the dolphin cruise to another area. It’s hard to say how many dolphins you’ll see and what their behaviors will be. Come prepared! Bring your camera and be ready for a fantastic voyage! Food is allowed on board. Snacks and beverages are available for sale for $1-$2. Dolphi sightings are guaranteed. In the unlikely event that dolphin are not spotted, a free return cruise ticket will be given. Learn more about these Atlantic City dolphin cruises at their website atlanticcitycruises.com or call 609-347-7600. Visit more of our pictures from the dolphin cruise in this Facebook album. Visit Gardener’s Basin and watch the boats come in and out. 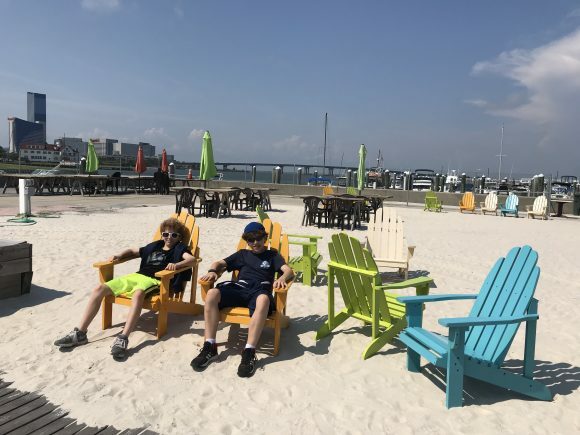 There are now cute adirondack chairs for kids and adults to sit back plant their feet in the sand, feel the wind through the hair, and get a great view of the water. A food truck is also available at select times for snacks and meals while you relax. Feed a stingray at the Ocean Life Center Aquarium. Climb the Absecon Lighthouse, one of the tallest in New Jersey. See an Imax Movie at the Tropicana Imax Theatre. 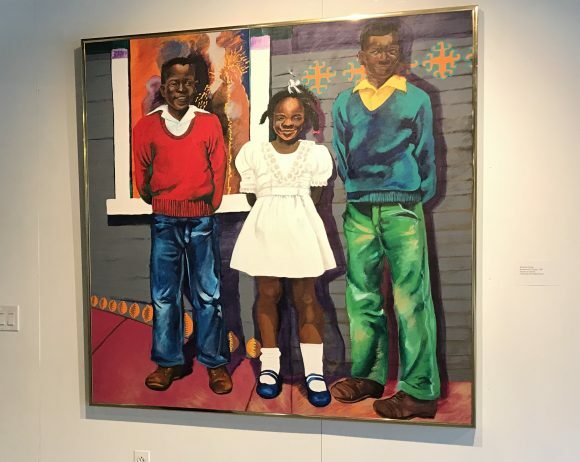 Check out the art at the Noyes Museum of Art with two locations in Atlantic City – one inside the Claridge Hotel. The other is located at the Noyes Arts Garage of Stockton University. Check out our experience, Noyes Museum of Art – Explore Art with Your Kids. Admission is always free at all of the Noyes Art Museum locations. One of the Kimberly Camp paintings on display at the Noyes Art Garage. Challenge the kids to a video game competition. Three Atlantic City casino hotels have arcades for families: Tropicana, Harrah’s, and The Claridge. Take a walk INSIDE an elephant. Take a walk through or climb on a 6 story elephant named Lucy. Ride the rides at Steel Pier. Play in the sand on the Atlantic City Beaches where admission is always FREE. There are several points along the Atlantic City beach that you can enter the beach from the boardwalk. Parking is available in private lots, casino parking garages, and underneath Boardwalk Hall. At the Atlantic City Bass Pro Shops, shoppers can walk through a store that might have you questioning just where you are. In one end of the store there’s stuffed bears, raccoons, and other forest creatures. In another end there’s a deep fish tank where a few times a week a staff member feeds the fish and discusses the species in the tank. Visitors are encouraged to stay, watch, and ask questions. 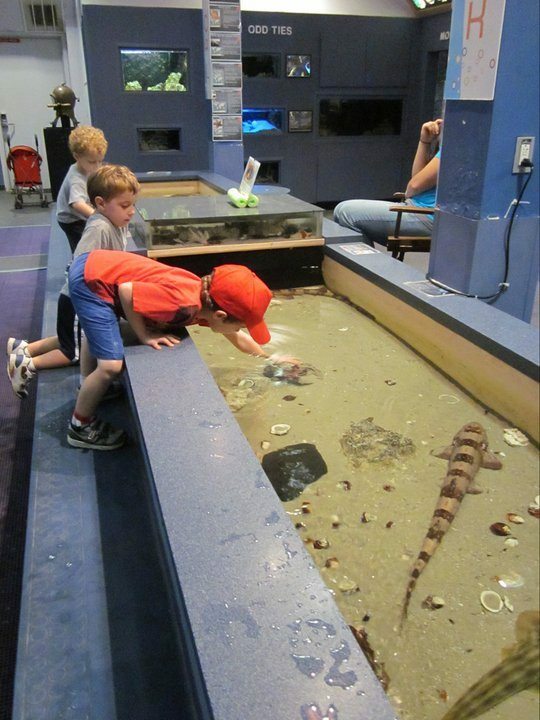 From fish feedings to kids workshops there are always events happening for kids at the AC Bass Pro Shops. You can check for Atlantic City Bass Pro Shops events for kids with this link. Open your eyes to some new art. 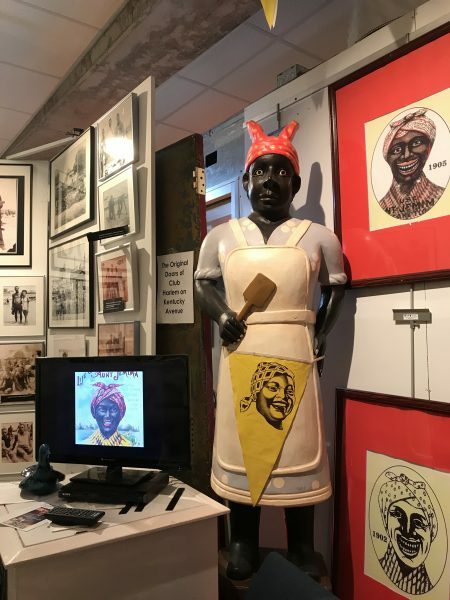 In Atlantic City, the African American Heritage Museum of Southern New Jersey has a vast collection of paintings, ceramics and advertising and branding memorabilia that portray African Americans in both a flattering and unflattering way. It’s unsettling to read some of the signage and understand how so many of the brands we are familiar with treated the African American community and the brand spokemodels so negatively, but it’s important to see it. Read more in my article, Eye Opening Exhibits at the African American Heritage Museum of Southern New Jersey. Stereotypes on Exhibt at African American Heritage Museum of Southern New Jersey Atlantic City location. Go Ice Skating at the Flyer Skate Zone. Play a round of miniature golf on the rooftop of Harrah’s. Watch the night lights and fireworks! Stay still the sun goes does and the Tropicana Casino facade lights up with their nightly free shows that mix music and lighting for an incredible experience. Saturday nights in the summer Tropicana hosts a fireworks show. 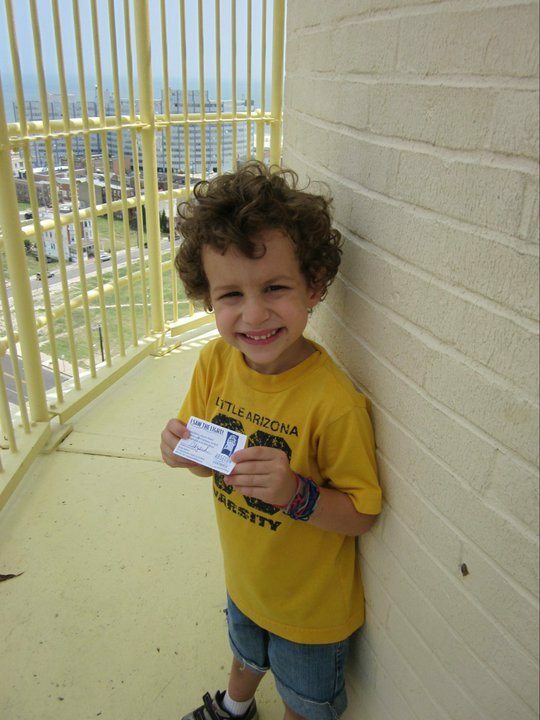 Attend an Atlantic City event for kids! Visit our Jersey Family Fun Calendar of events to find out about upcoming Atlantic City events for kids. Want an easy way to get into and out of Atlantic City on a holiday or weekend? Take New Jersey Transit where kids, ages 5 -11, ride FREE because it’s a holiday! Up to two kids can ride free with a passenger paying any valid fare. In effect from 7 p.m. Friday (or the day before a holiday) until 6 a.m. Monday (or the day after a holiday). PLEASE NOTE Train service from Atlantic City to Philadelphia will be suspended from September 2018 to 2019. Now, should you decide that there is just so many things to do with your family in Atlantic City that you need to stay overnight, we recommend the following Family Friendly Atlantic City Hotels.